When choosing the right new Jeep Cherokee for sale near Mokena, drivers want more than just low prices, wide selection, and easy financing, they want the best service in town — and they’ll find that at Bettenhausen CDJR. See our selection of Jeep Cherokee models below, then find your next Jeep in person at Bettenhausen CDJR. Trail-Rated: Select trims have undergone rigorous testing to ensure they can handle the toughest trails and get you back home. They even have the coveted “Trail Rated” designation to prove it. And this is only the beginning. 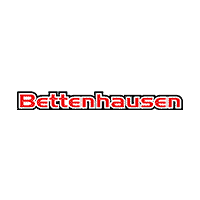 Compare the Jeep Cherokee and the Jeep Grand Cherokee and contact Bettenhausen CDJR and get back on the road to adventure today with a new Jeep.